The fantastic frosted finish of the vibrant Oscar Ballpoint Pen lends itself to the printing of your promotional logo. 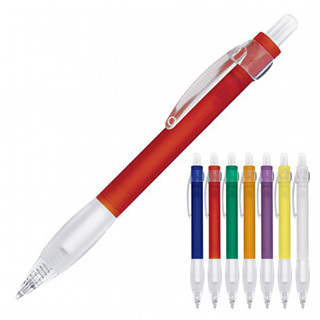 With ergonomic rubber grip and a push button, retractable ballpoint this is a stylish modern gift design. Black ink is delivered via quality Parker type refill with 1.0mm nib. Pad Print or Screen Print.